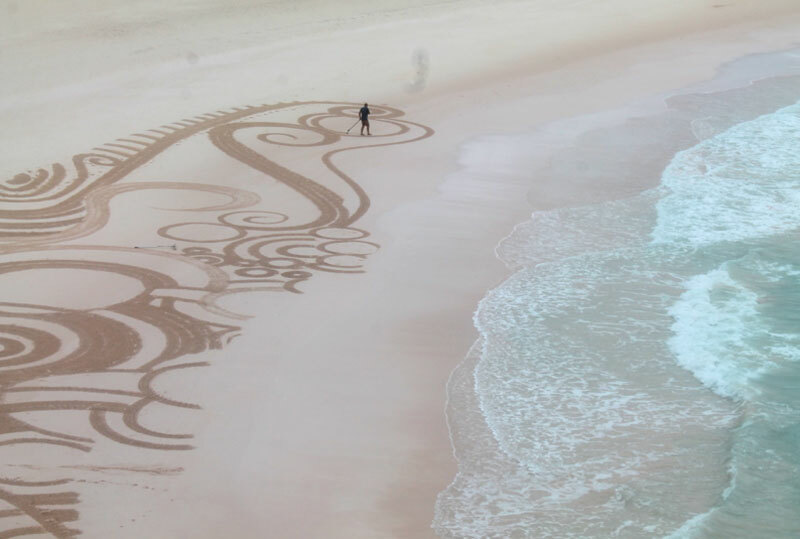 A handful of sand sculpting enthusiasts braved Saturday’s [March 21] rain to learn tips and techniques from the Beach Art Festival‘s guest beach artist Tony Plant, from Cornwall, England. 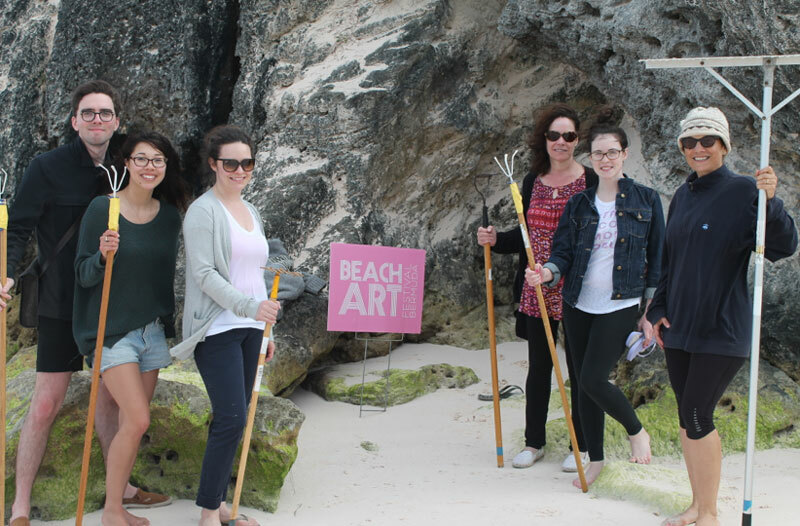 With the weather clearing just in time for the workshop’s 3.00pm start, everyone in attendance was able to learn from the experienced beach artist. 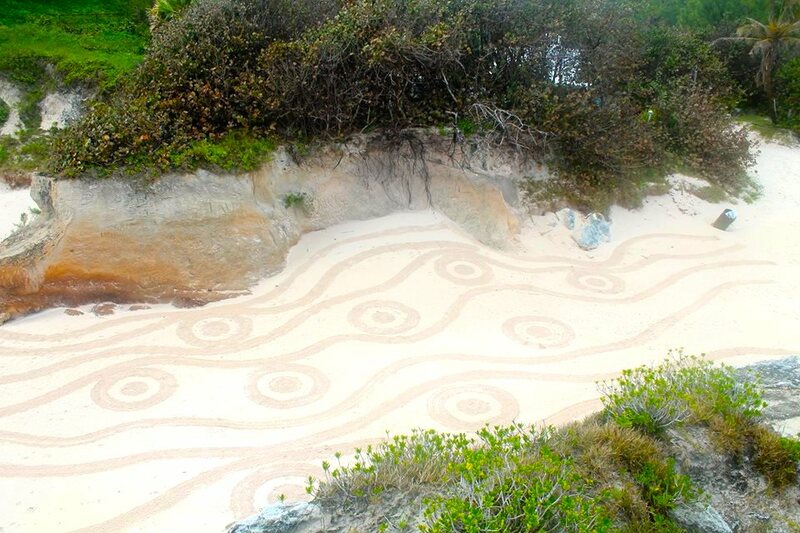 Three more workshops are scheduled for Horseshoe Bay Beach on March 24, 25, and 26 from 5.30pm to 7.30pm. All workshops, as well as the event itself, are free to attend. 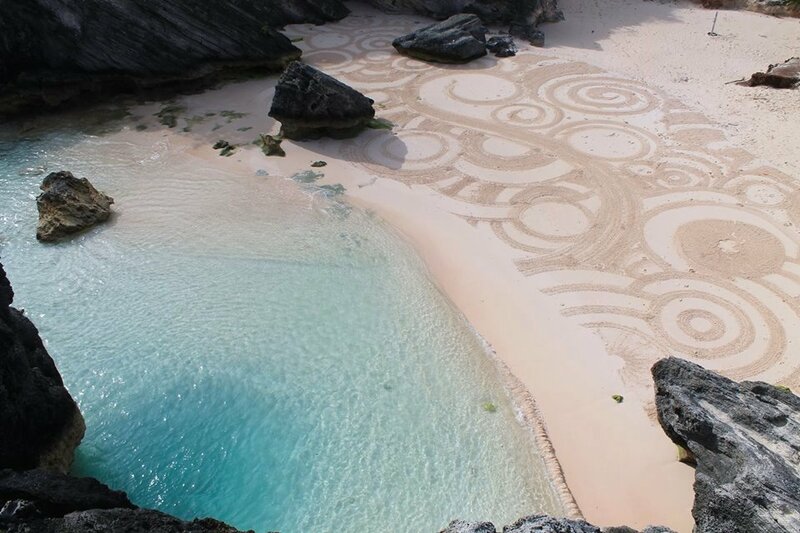 Beach art will be created between 9.00am and 12.00pm on the day of the Festival, Saturday, March 28, with the day’s 2.00pm high tide promising to leave no trace of the beach art. The day’s events will culminate in a presentation and prize giving ceremony at the Seabreeze Terrace, overlooking Elbow Beach, at 6.00pm. Unlike you Mockingay: Idiot today & tomorrow. Actually I fly overseas to my women. Bermuda women have much higher standards do they Mockingjay? Next time you fly, Mockingjay, stay away! Is that ’cause all of ‘em here know too much about you to want you ? You live overseas to begin with. How do you chat up women? Do you bore them into submission? Some nice work there. Saw some on a Hawkins Island beach Sunday.